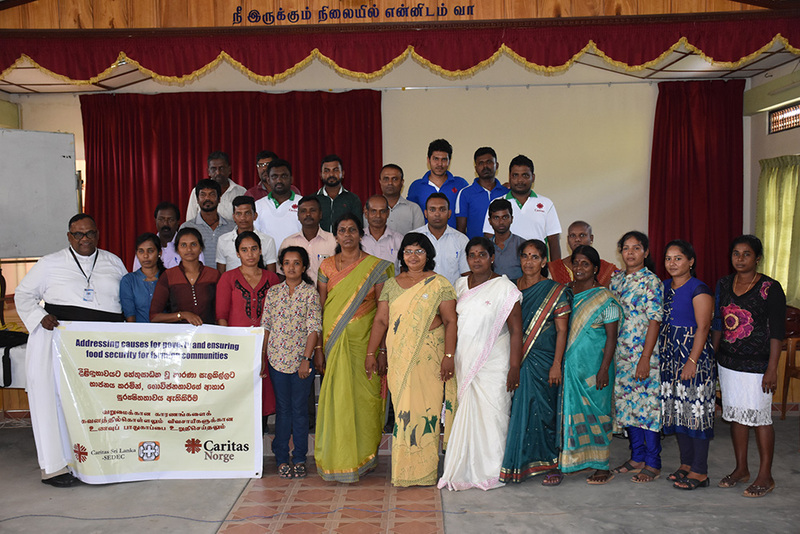 Three days’ workshop on Food Security programme was conducted at Pandeterripu, Jaffna on 13th, 14th and 15th of February 2019 by Caritas Sri Lanka SEDEC for the Directors, Food Security staff of Jaffna, Vanni, Trincomalee and Mannar Diocesan Centres and the lead farmers. The workshop commenced with the Holy Mass offered by Rev. Fr. S Eugene Francis, Director of HUDEC-Caritas Jaffna on the 13th morning 9.00 a.m. Forty (40) participants participated in this three days programme. Mrs. Nilani Tissera, the National Coordinator of Food Security programme gave the introduction about this programme and elaborated consequences of climate change and the problems faced by the farmers and farmers engaged in Home Gardening. 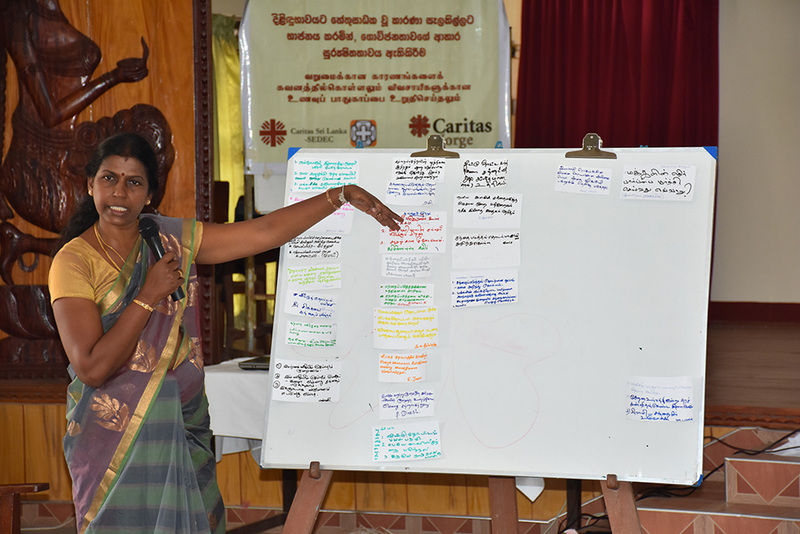 Further, Mrs. Kirupavasani Sivaruban, Agriculture Monitoring Officer, Agricultural Department Jaffna, presented her ideas on “the agricultural techniques according to the climate change”. 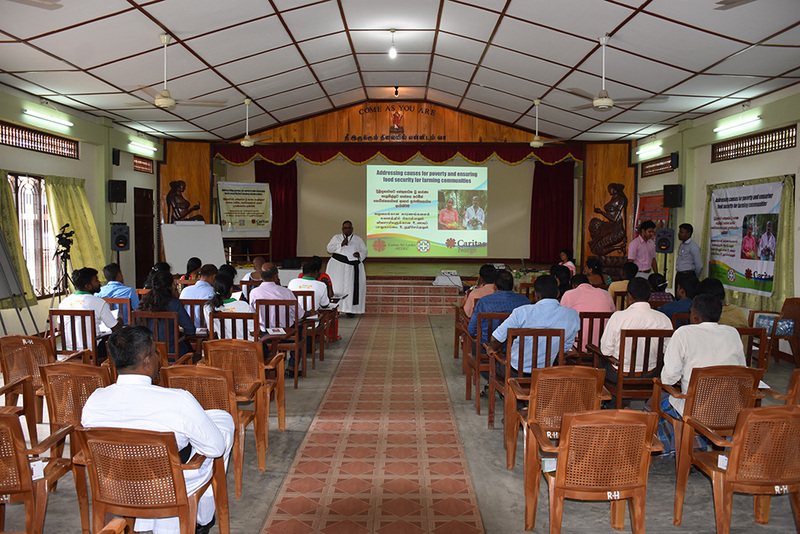 Mr. Croos, Agricultural Inspector, Sandilipay, presented a lecture on “Army worm and the techniques & methods of controlling and the action taken to control army worm in the District of Jaffna”. Mrs. Thevaranchany Sivaskaran, Senior Lecturer, Department of Human Resource Management, University of Jaffna, gave a presentation on “Marketing methods and techniques”. 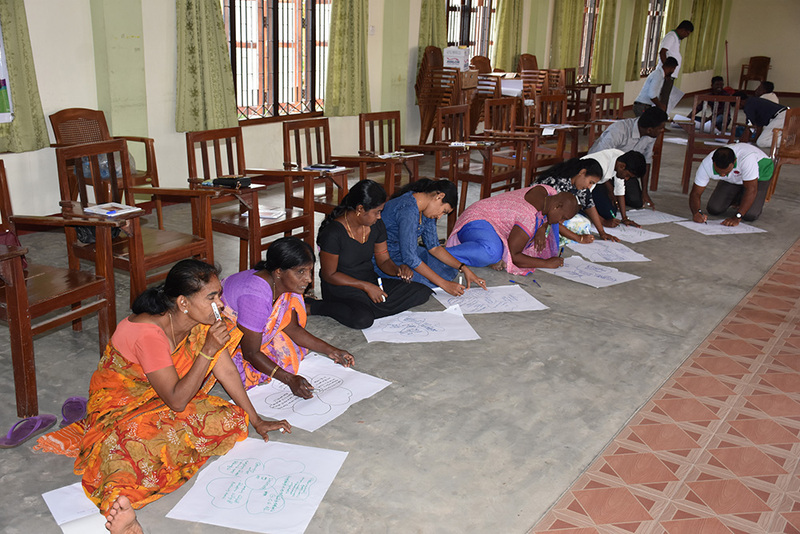 Thirty participants from four diocesan centres participated in this workshop. Revd. Fr. S. Eugene Francis gave the conclusion speech at the end of the programme on the 15th evening. 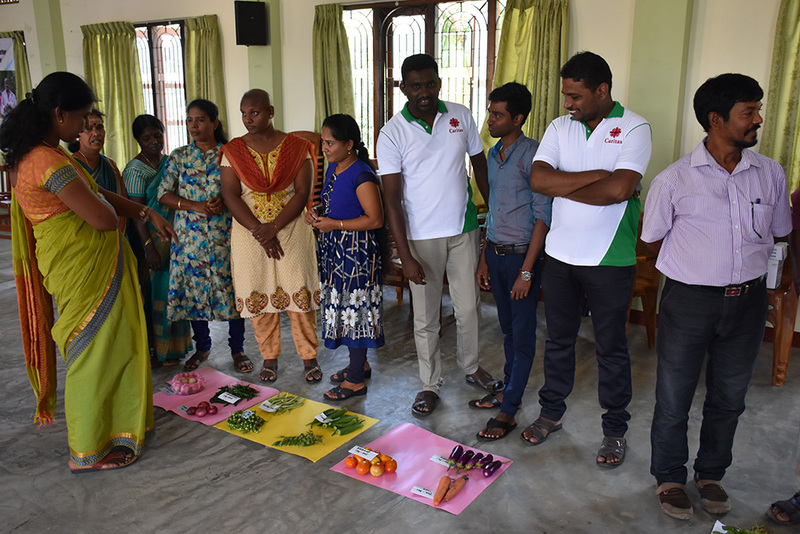 The Food Security Programme is funded by Caritas Norway/NORAD, through the National Centre, Caritas Sri Lanka-SEDEC and implemented by 13 Diocesan Centres in Sri Lanka.